This guest post is by Curtis Dean. It provides a helpful overview of home recording for those who are new to producing and mastering their own tracks. It is pretty awesome to have your recording studio at home. Not only do you have the equipment to dabble with your favourite hobby, but you can also actually become a professional and maybe make some money out of it. You can create your own soundtracks for a short film or TV advertisement. Or maybe you can hone your hidden talents as a DJ. 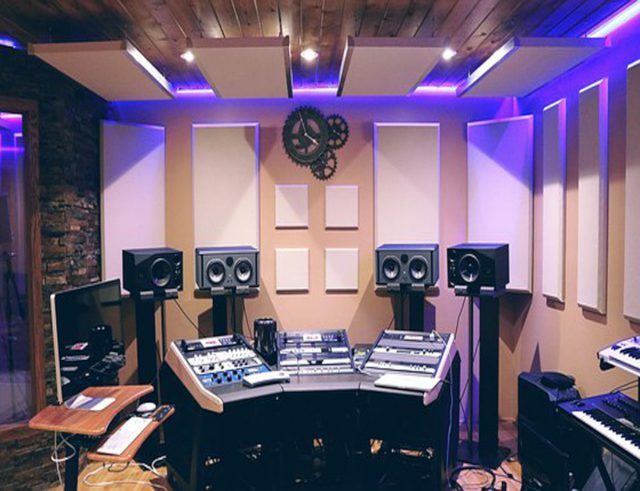 You have to learn some hacks on how to make good use of your home recording studio so you can produce quality music that everyone will enjoy listening to. Here are 7 Home Recording Studio tips for the beginner. You’ve finished your all-time most intense music lessons and now it’s for your recording session. What we need to prepare here is your music for mastering. 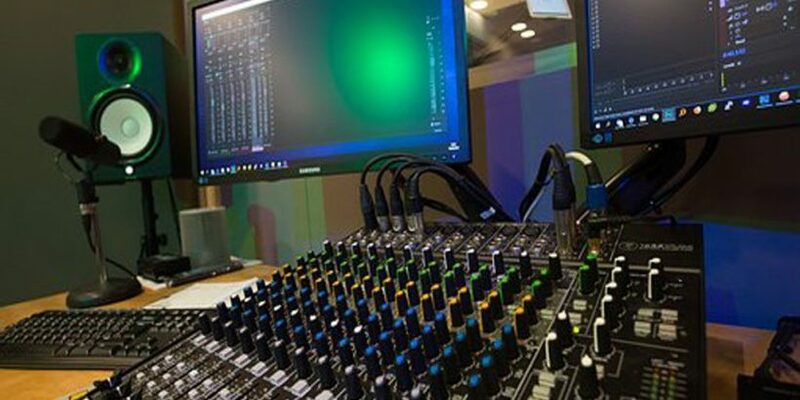 Mastering is a process wherein the music you put together in a recording is being edited by adjusting or manipulating some frequencies to enhance or add more dimension to your album. There are different styles of mastering depending on the music genre used in the recording. The aim of mastering is to make the songs in an album sound like they blend well together with good sound quality. It will take a very good listening ear and a unique creative style to come up with a well-mastered album. The initial step in creating your album should be how you will present your music to your listening public by determining the order of your tracks. Are you planning to start the music soft and slow in the beginning then gradually building up the beat and ending with a bang? Think of the concept or theme of your album and work towards arranging your selection of music that suits its flow. Equalization or what they call EQ is the adjustment of certain frequencies in a recording to achieve a certain sound. During mastering of an album, EQ is a process applied to every song to make it sound good as a whole. There are 3 kinds of frequencies in EQ: low, midrange and high. Low frequencies or bass puts a warm vibe to the song. Too much of it makes the sound rumbly or muddy. Mids or midrange frequencies brings out the clarity in vocals and string instruments like guitars and bass. Too much of it though makes the track lose its dynamic contrasts. Highs or high frequencies add the bright vibe in the song. Too many highs can make the music sound harsh to the ears. If your album was mixed right, you don’t need to apply too many EQ adjustments using your studio monitors or professional headphones. One of the rules in mastering is that drastic changes in frequency should be avoided. In mastering, you are simply fine tuning or enhancing the music, not mixing or altering it. Recordings done in your home studio are likely to need some EQ fine tuning. Make sure you have a quality plug-in (or hardware) with frequency metering as you start to experiment with equalization. Compression is a process in recording wherein compressors are used in reducing the dynamics of a signal. Compression either reduces the peaks or volume of loud elements in the track or it increases the overall audio volume after it has been compressed. Limiters, a type of compressor, works by equalizing the differences of the volume across your tracks without distorting the sound of your album. This process puts some energy into your track while adding “glue” to create the right blend of music. This is done by increasing the volume at quieter parts of some songs without having to decrease the louder parts. This tool can be helpful in synergizing a song but you risk losing the highs and lows of your music once compressed together. The last step in mastering is to make sure there are no sound gaps in your album. In CDs, there is a 2-second gap between tracks and this is adjusted by pressing. Tracks have fade points, so you have to master these when making an album. You would want an album with the tracks seamlessly cross-fading in and out without any dead air in between. You can achieve this by laying out the tracks by overlapping them on the timeline of the audio editing program together with the parts you want to hear. This will make the album flow sound much better. You can use the cross fade or similar techniques. While the process of limiting and compression helps in increasing the volume of the overall tracks, it is important to have an equal balance of the song levels. This does not mean there shouldn’t be songs in the album that is softer or louder than the other. It could be a special effect if you start your album with a slow soft song and the next one is garishly loud. However, in terms of volume, they should all be reasonably equal or at level with each other. The listener shouldn’t have to turn up the volume to hear the next song. Learn as much as you can about limiting and compression if you want to do your own home studio mastering. While all modern recordings use a lot (some would say too much) of limiting, applying it well is truly an art. Now that you have your music burned on a CD you have to take it away from your home recording studio to test the mix. Play it on your laptop and pay attention to how it sounds on the speakers. Laptop speakers usually have the substandard sound quality, so if it sounds great then that’s a good sign. Have your friends listen to it in their car or stereo. Experiment listening to it using various devices at different locations. If you have musician friends have them listen to it and ask for constructive advice or criticism. You know you’ve done well if the music sounds excellent anywhere you play it with no muffled frequencies or popping sounds. Otherwise, it’s time to go back to the studio and make some adjustments.